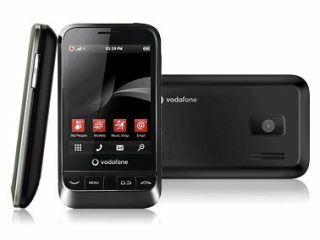 After months of speculation on the web, the Android-toting Vodafone 845 has finally stepped into the spotlight. This is the first Vodafone-branded handset to run on Android, and comes with some pretty bog-standard specs as befits its budget category. TechRadar brought you news of this phone a month or so ago, with a mooted price tag of £130 - although there's no official price tag on the Vodafone 845 despite being heralded as budget. We're talking a 2.8-inch resistive screen, a 3.2MP camera and a 'suite' of Vodafone 360 Apps meaning you can socially network with your buddies and get access to unlimited tunes with Vodafone Music. However, the Vodafone 845 is starting from the right point: from release it will be running Android 2.1, meaning integrated Exchange support and (hopefully) live wallpapers. Still, at least we've got a May UK release date, so if you've been yearning for a cheap Android buddy and aren't enamoured by the T-Mobile Pulse, then perhaps this is the phone for you - go check it out now.